The Easiest, Fastest, and Safest Way to Reliably Backup Your Important Information. Never Worry About Losing Critical Data Again! EverSafe Backup is an automated data backup and restore system providing powerful tools to protect your organization’s data. Unlike traditional data protection tools, EverSafe Backup does not require any human assistance beyond the initial installation and setup. There is no media to install, remove, protect, or replace. EverSafe Backup is highly secure and only you have access to your data. EverSafe Backup protects you from silent data corruption. EverSafe Backup is simple, safe, and secure! How Does EverSafe Backup Work? Install a small EverSafe Backup client software application on your computer in minutes to manage all of your data protection and restoration. After you easily identify what data you want to protect, EverSafe Backup encrypts and compresses this data and then transfers a master copy to our data center. Everyone! Any sized business. Server farms. Data centers. Workstations. Laptop users. Home computers. Anywhere you store critical information that you can’t afford to be without. If you are looking for an easier and more reliable way to backup your data, then you need EverSafe Backup. 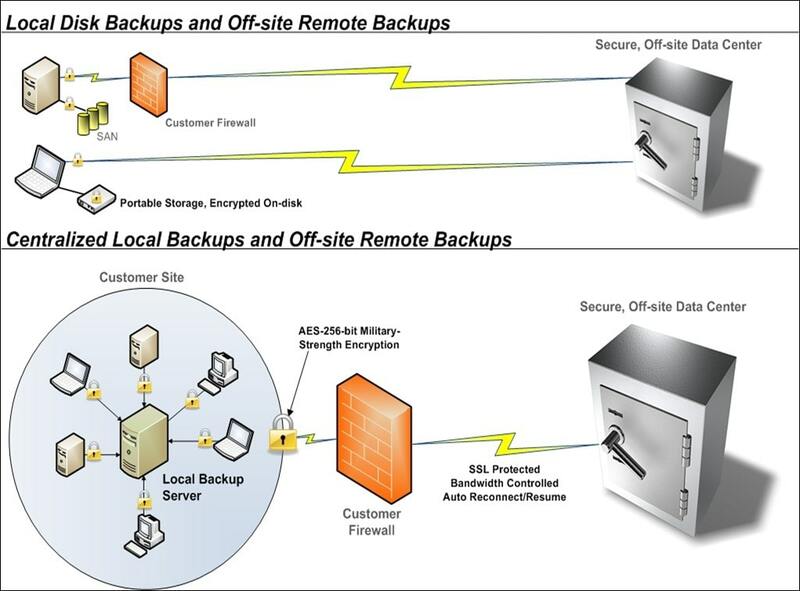 • Complicated backup procedures interrupting your daily business activities. • Backup media to lose, misplace, or fail. • Required transportation of backup media to a remote storage facility. • Lost sleep wondering if your backup will really help you if you need it. EverSafe Backup just works, our customers know it and they love it!